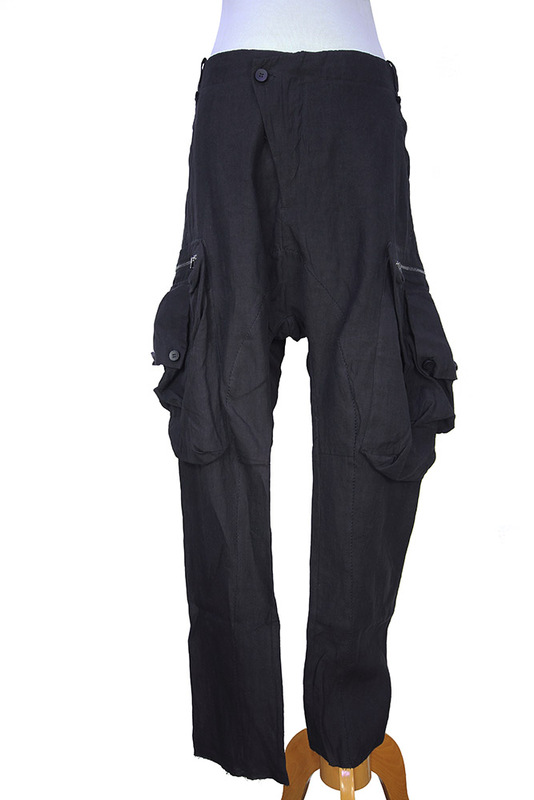 Masnada 'Taste Bis' pants - trousers in beautiful black linen. Angled zip fly with placket and waist button. Belt loops. 2 angled side pockets. 2 rear pockets. Panel and stitch detail on legs. Unfinished on length. 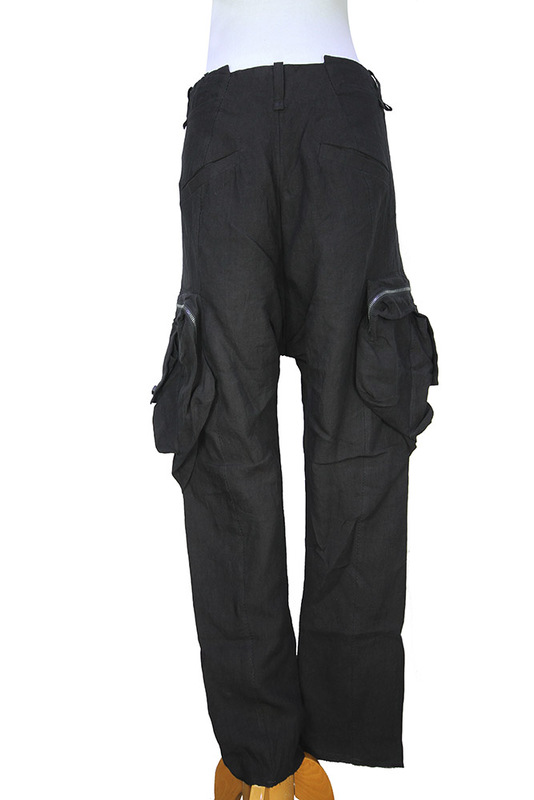 2 large pockets on each side thigh, with zip fastening and second pocket with long flap and button fastening on the zip pockets. Stunning trousers, with lots of great detail, totally cool, in a high quality fabric, beautifully designed and of the finest workmanship. 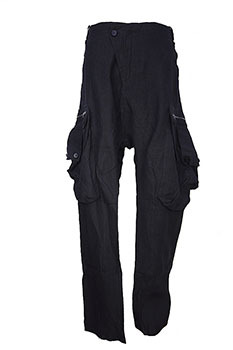 The quality of Masnada clothing is hard to find elsewhere and these trousers are as good as it gets!